“A slumdog, feel-good treasure find.” (Daily Mail). Now adapted into a Bafta-nominated film directed by Steven Daldry and written by Richard Curtis. 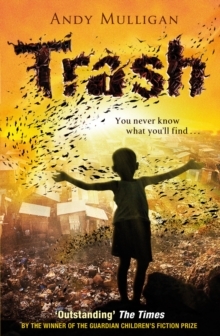 Raphael lives on a dumpsite, eking out a living sifting through rubbish. One unlucky-lucky day, he makes an extraordinary and deadly discovery. Now he and his two friends, Gardo and Rat, are wanted by the corrupt forces that run the city who’ll stop at nothing to get back what they’ve lost. From the slums to the mansions of the elite, it’s going to take all of their quick-thinking and fast-talking to stay ahead.